Special Event: Cake Day Bash! 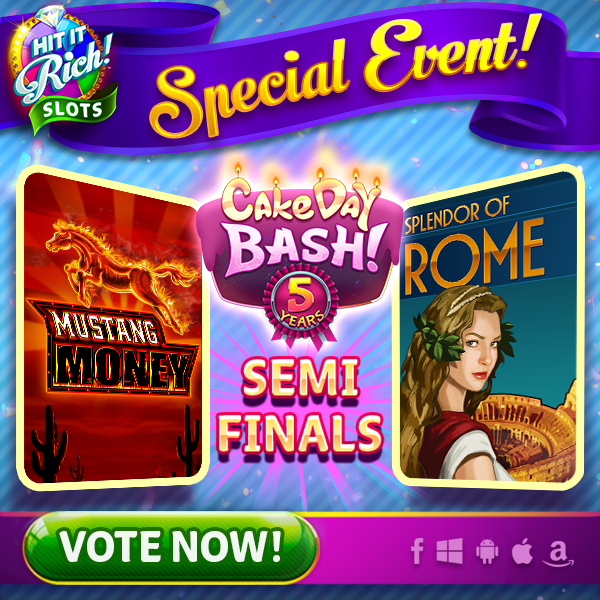 It’s Day 1 of our Cake Day Bash game battle! Get a Big Win in one of the games to cast your vote! But that’s not all! EVERY DAY, 25 voters will win 1 BILLION COINS!! you will be entered in a drawing to be 1 of 50 to win the MEGA BIRTHDAY JACKPOT! You voted and we listened, Mustang Money was your Day 1 Winner! Splendor of Rome or Extreme Dragon? Remember, 25 voters will win 1 BILLION COINS each day! All you have to do is spin and win! 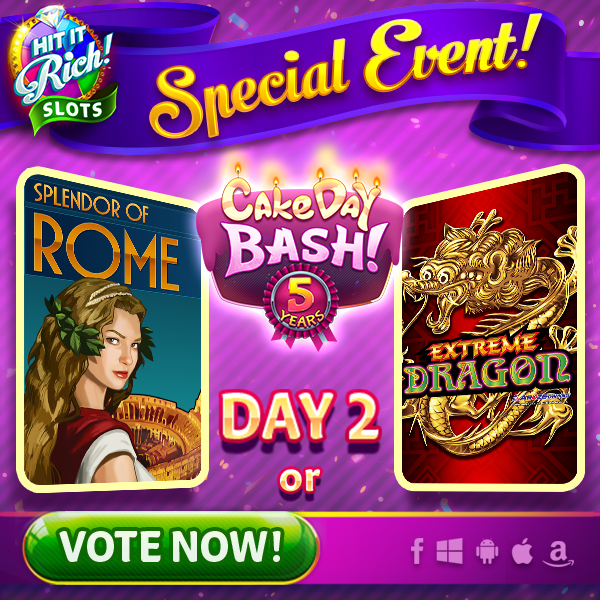 Make sure to vote all 7 days for a chance at that 10 BILLION COINS MEGA BIRTHDAY JACKPOT! Splendor of Rome came out victorious in our Day 2 match-up! 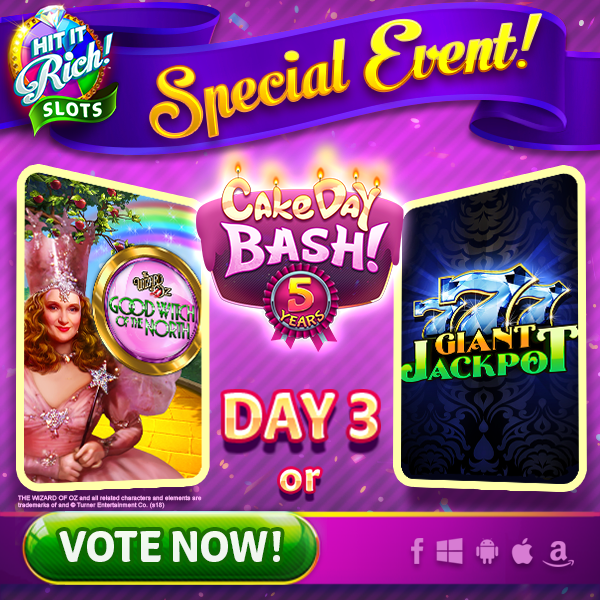 But how will Glinda, the Good Witch of the North, fair against Giant Jackpot? AND it will enter you for a chance to be 1 of 25 DAILY winners of 1 BILLION COINS! The Good Witch of the North left no question about who was the best! Today, 2 new games will go head-to-head to see who will leave the other in the dust. 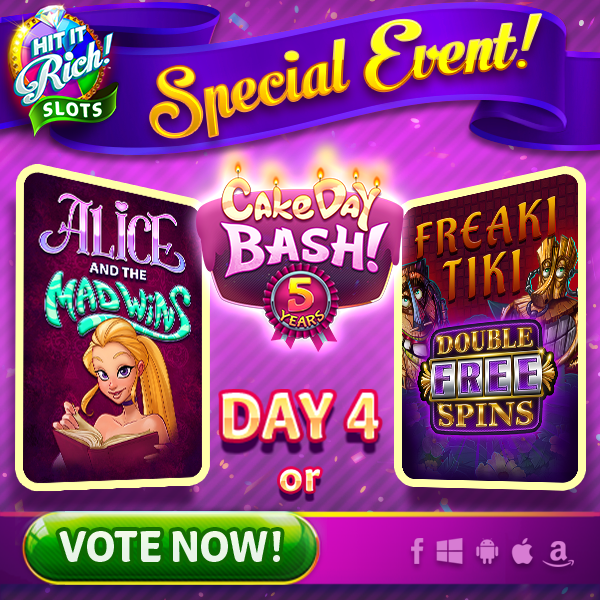 Will it be Alice adn the Mad Wins or Freaki Tiki? Get those Big Wins in to cast your vote for your favorite AND potentially win 1 BILLION COINS! Alice and the Mad Wins ran away with the lead! Now we’re down to the FINAL FOUR! In our first semi-final match-up, we’ve got Mustang Money vs. Splendor of Rome! The winner will head to the Final round, so who will it be? Get your Big Wins in to cast your vote now! 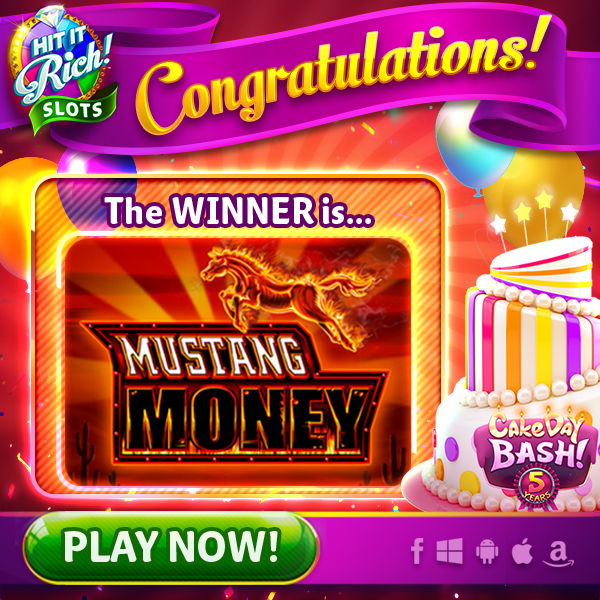 Mustang Money remains triumphant with another victory! 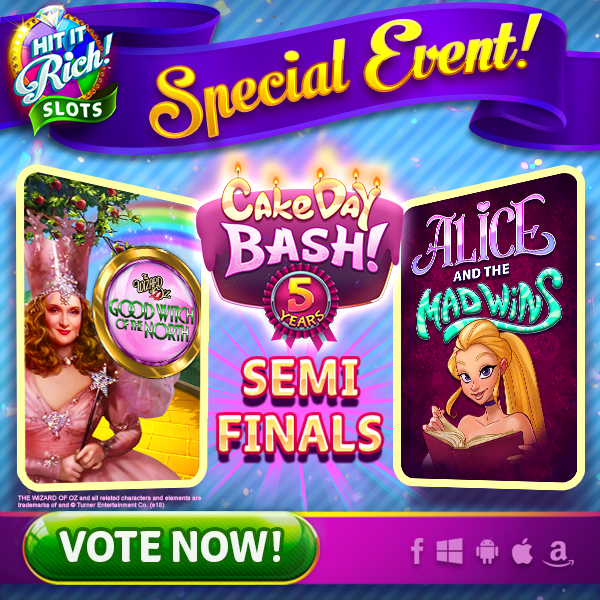 In our last semi-final battle, we’ve got Good Witch of the North vs. Alice and the Mad Wins! Can the Good Witch out magic Alice? AND for your chance to win 1 BILLION COINS! Glinda the Good Witch of the North vs. Mustang Money!! Only one can be the ultimate winner, which will it be? 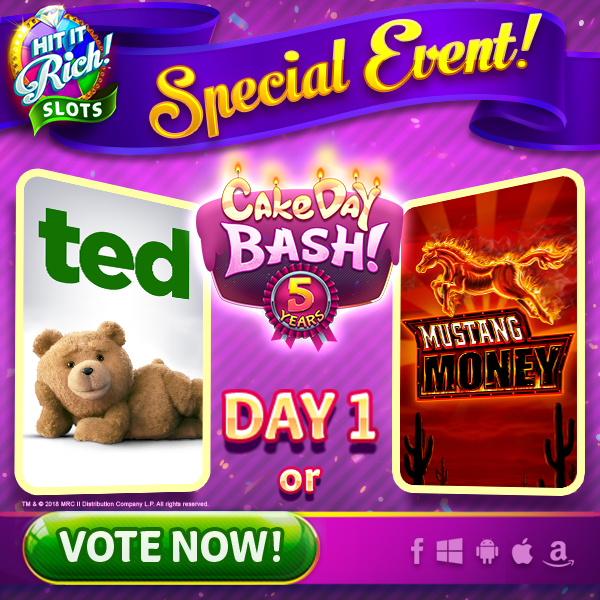 Vote with a Big Win in your favorite game and to be entered into the Daily Sweepstakes for 1 BILLION COINS! 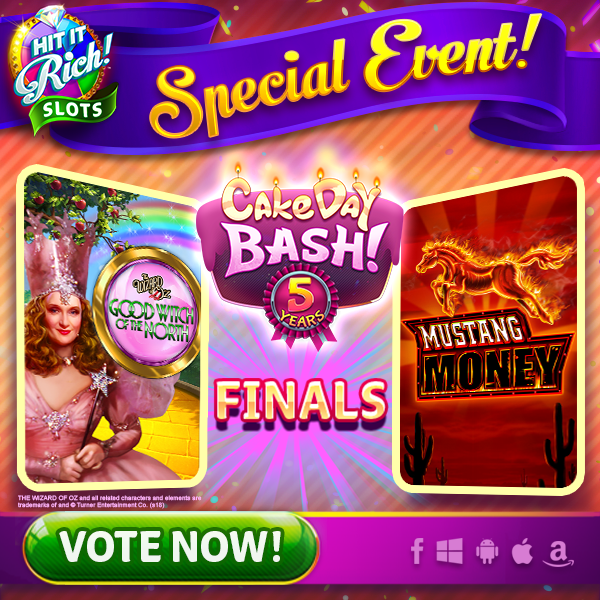 you’ll have the chance to win the MEGA BIRTHDAY JACKPOT! Mustang Money has taken the win and is clearly a fan favorite! you may be one of our 50 MEGA BIRTHDAY JACKPOT WINNERS! Stay tuned to the fan page for a list of winners!